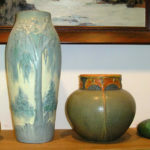 The Wisconsin Pottery Association held its 15th annual Pottery Show and Sale on Saturday August 28, 2010. 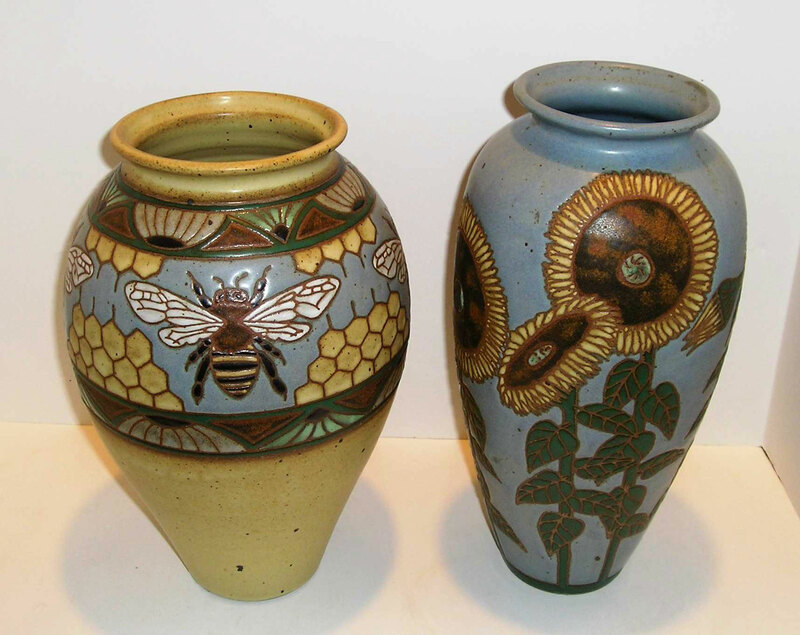 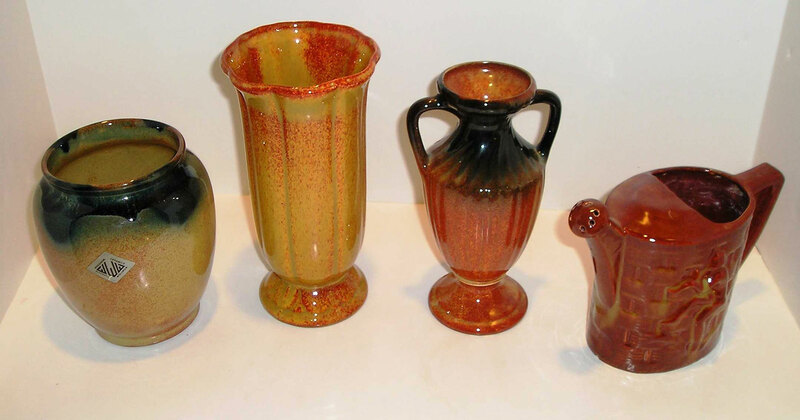 All types of antique and collectible pottery were on sale. 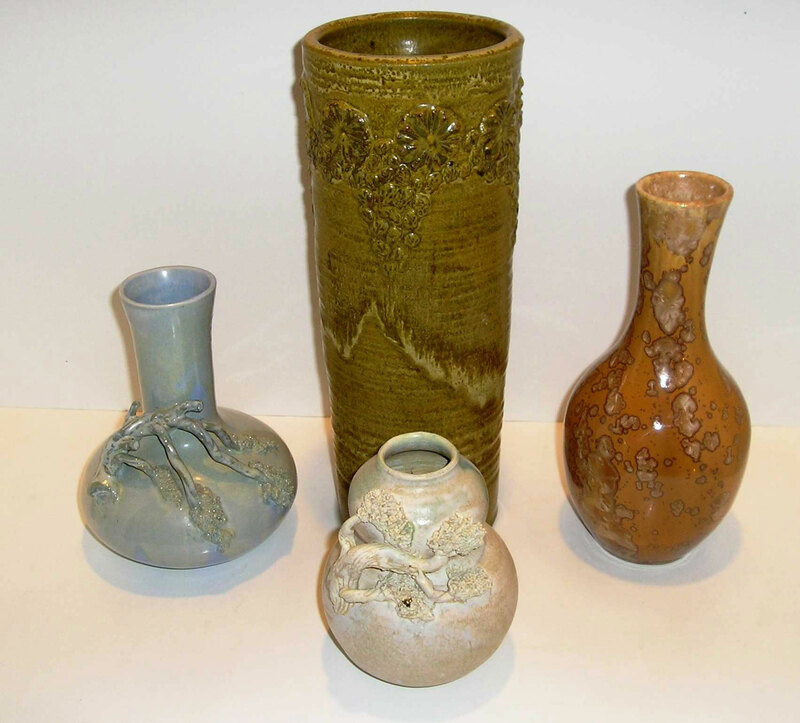 Some 50 Pottery dealers from across the nation participated, as well as noted studio potters. 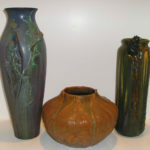 The show, titled Wisconsin Art Pottery 1930 to 2010 included a great selection of Wisconsin Pottery including examples of Ceramic Art Studio, Century House, Pittsville and Kohler pottery. 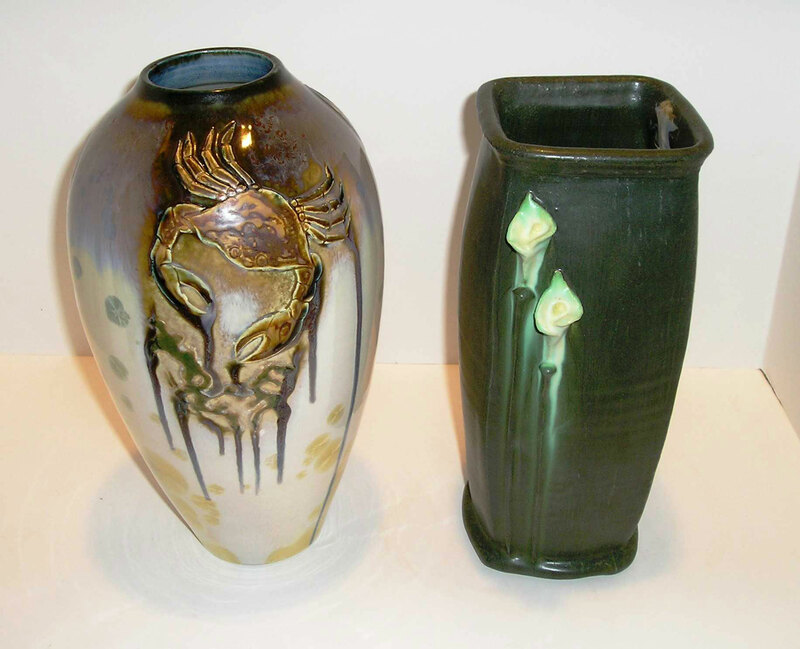 Studio potters include Carlton Ball, Don Reitz, Scott Draves, Aaron Bohrod, Eric Olson and more. 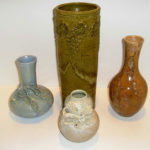 The Wisconsin Pottery Association (WPA) welcomes you to our 15th annual Pottery Show and Exhibit. 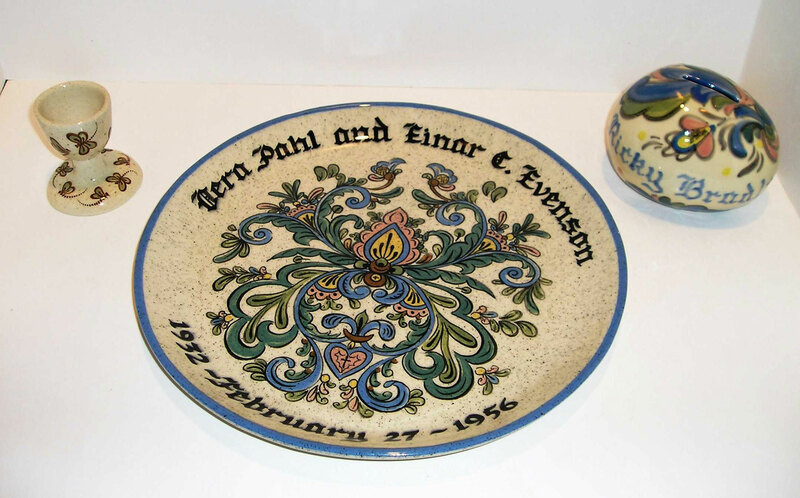 Today’s exhibit features original pottery from WPA members & friends for today’s event. 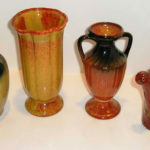 Eighty years of pottery in Wisconsin has involved thousands of people and many firms so the exhibit today is just a small sampling of the wide variety of art pottery that was created in that time. 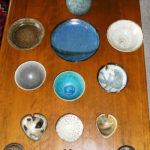 This program will give you some insight into some of these artists. 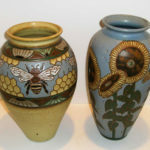 During the Great Depression, jobs were hard to come by, especially in Central Wisconsin. 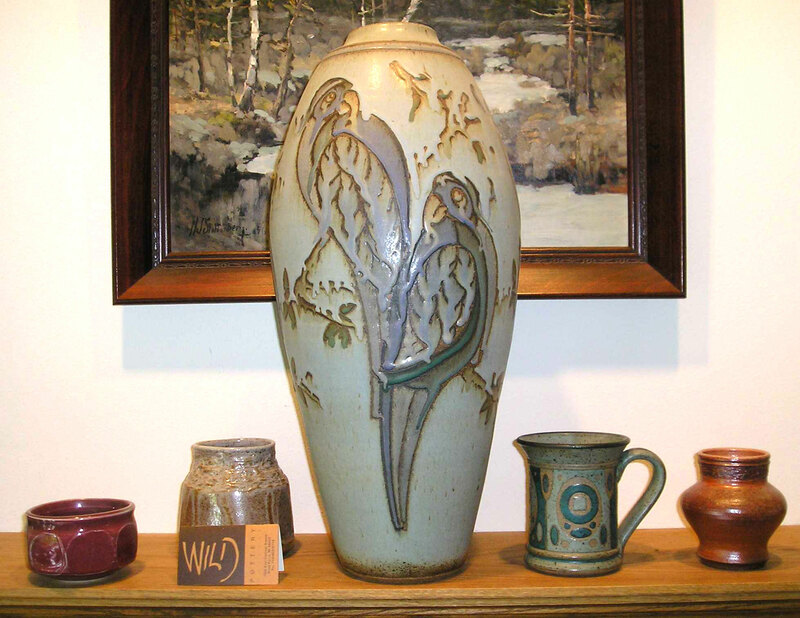 From 1930 to 1942, the enterprise that Father John Wilitzer felt could help the members of his community find work was the Wisconsin Ceramics Company, more commonly known by the village it was located in as the Pittsville Pottery. 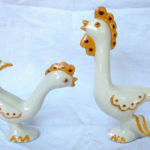 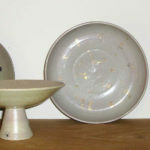 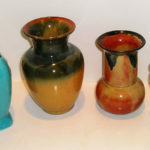 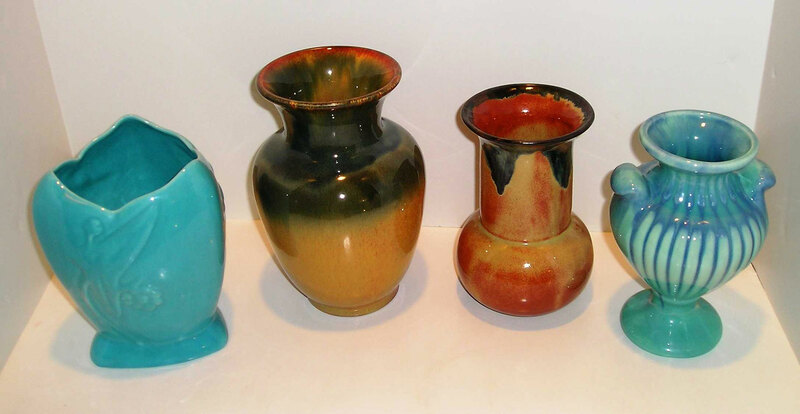 Ernest Lechner worked for the pottery in 1936 producing hand thrown pieces. 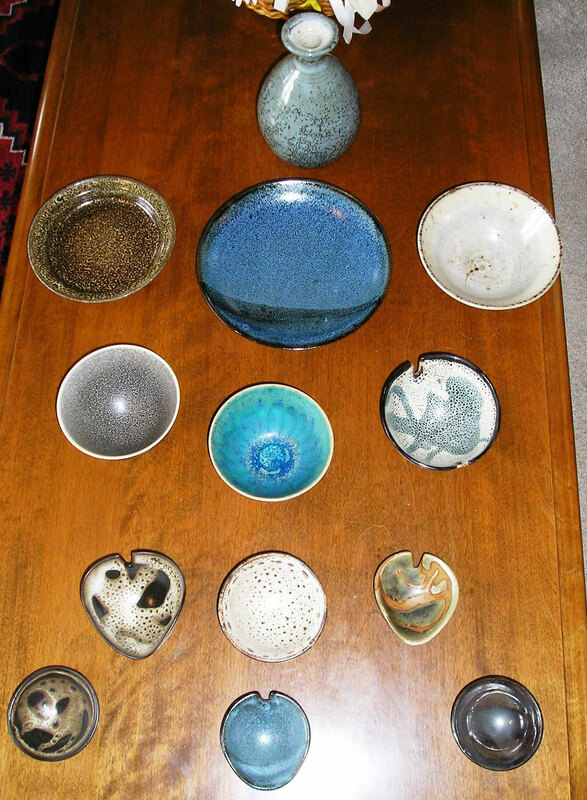 He left and went to Camark Pottery. 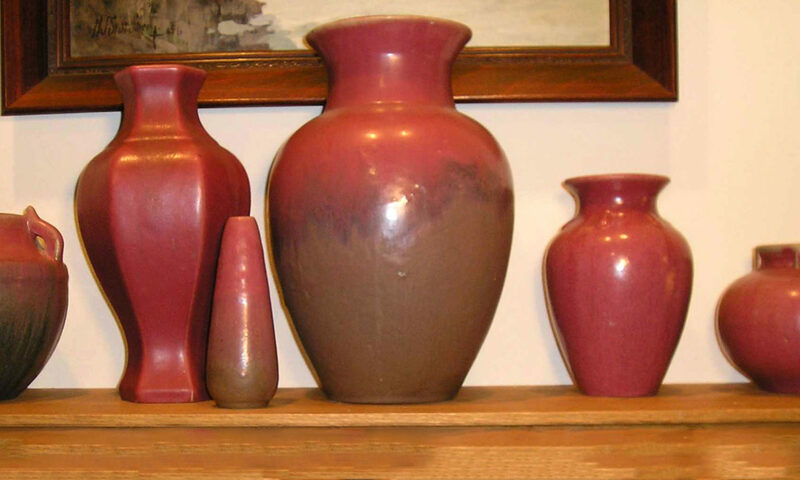 James Wilkins, who came from Muncie Pottery, arrived in 1939. 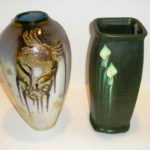 This is when most of the pieces that are found today were started to be produced. 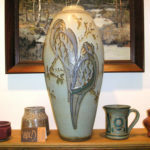 William Hallberg, who worked at the Ceramic Arts Studio, came to Pittsville in late 1941 and stay until the summer of 1942. 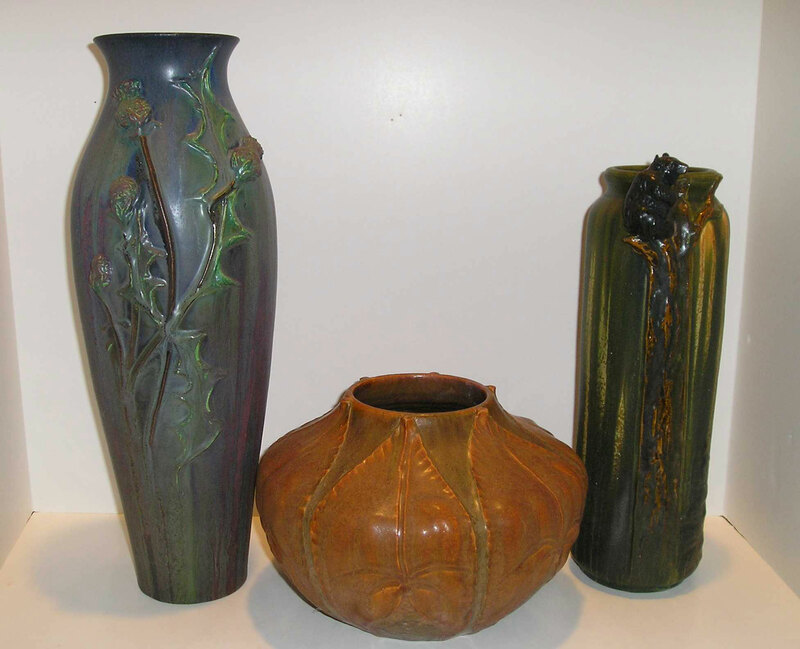 Dorothy Kleifgen Faust was 19 and worked at the Pittsville Pottery from 1939 to 1941 where she worked as a finisher. 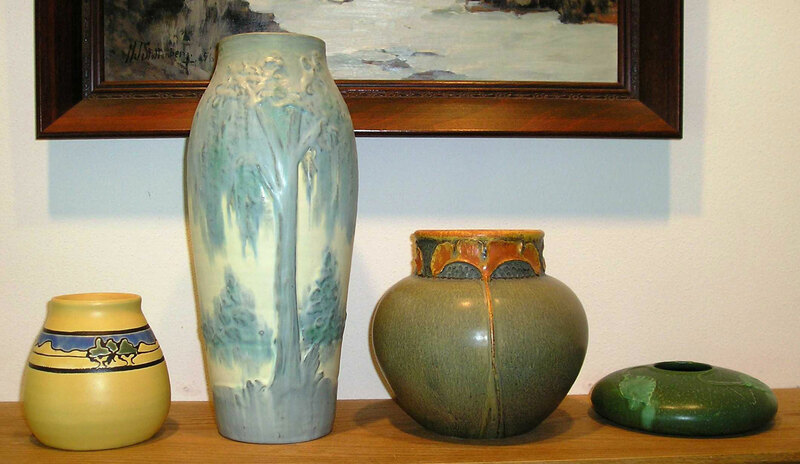 The figurine was at the heart of the popularity of Madison Ceramic Arts Studio. 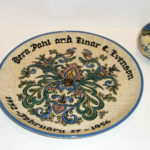 Started in 1940 by Lawrence Rabbit he added Reuben Sands as a partner in 1941. 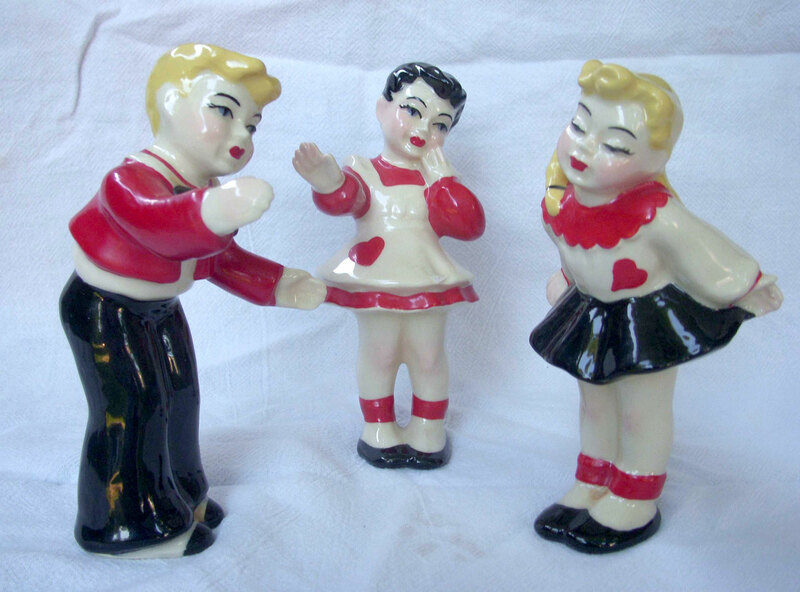 Figurines arrived in 1942 when Betty Harrington was hired. 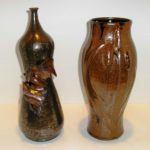 She had brought a figurine made of clay from her back yard to be fired at the studio. 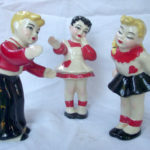 Reuben Sands refused payment as long as she created new figurines. 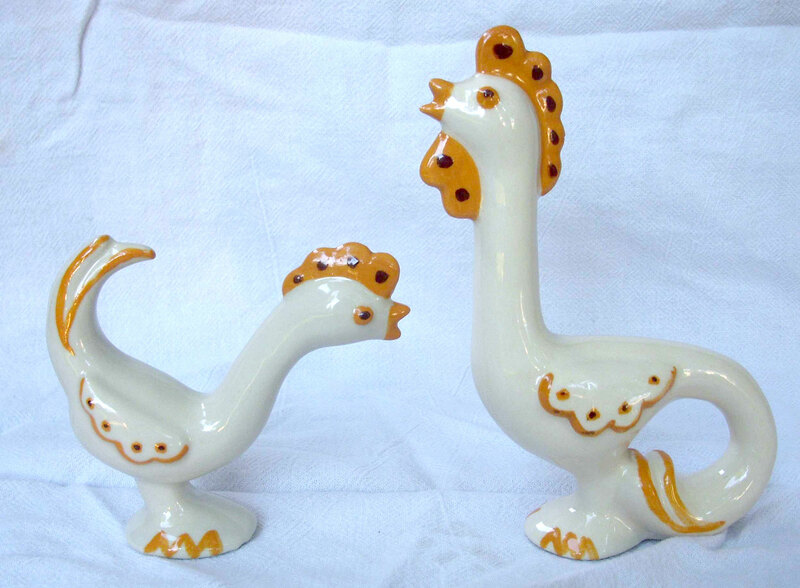 In the next 14 years she designed more than 800 figurines for the company.